CAP CANA, DOMINICAN REPUBLIC – Salamander Hotels & Resorts has been selected to manage Sanctuary Cap Cana, with the goal of making the luxurious Dominican Republic oceanfront resort an American Automobile Association (AAA) Five Diamond award winner. Effective immediately, the Virginia-based company will manage the magnificent 176-suite oceanfront resort, and adds the property to its exclusive Grand Resorts of Cap Cana collection, which already includes nearby sister properties Fishing Lodge and Ocean Club. The group’s new website is www.GrandResortsAtCapCana.com. Existing business at the Sanctuary will not be affected and all existing reservations – including wedding and group bookings – will be honored. Salamander will gradually transition the resort from its current all-inclusive, couples-only format to a traditional luxury experience, with a la carte dining offered by October 31. The Sanctuary will also begin welcoming families on December 12, just in time for the busy holiday season. 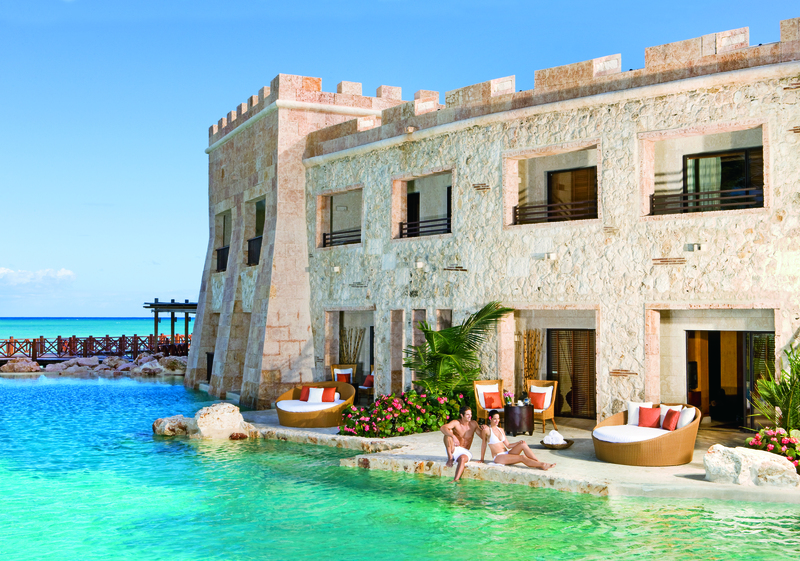 The resort will honor all aspects of existing all-inclusive reservations, no matter when they are scheduled to stay, while introducing luxurious new packages that include full meal plans and an array of recreational activities. And, because of its unique design, the Sanctuary will feature a one-of-a-kind, adults-only experience in “The Castle,” an upscale hotel within a hotel featuring swim-out villas, its own reception, bar and lounge, and infinity edge pool overlooking the Caribbean Sea. Developed at a cost of $110 million dollars and featuring architectural designs that reflect both Caribbean and European influences, the Sanctuary features beautiful suites and villas with ocean views and swim-out access, five restaurants and bars, five pools, a lavish spa, a Jack Nicklaus Signature Golf experience at Punta Espada Golf Club and 18,000 square feet of meeting space. The Sanctuary becomes the latest property to join Salamander’s new Grand Resorts at Cap Cana collection, which already features Fishing Lodge and Ocean Club. Opening October 12, 2011, Fishing Lodge Cap Cana includes 298 villas, is located within a masterfully designed village surrounding the largest inland marina in the Caribbean, and offers a variety of real estate opportunities. Ocean Club Cap Cana will open in 2012 as a 113-room boutique-style hotel, romantically situated where the marina meets the Caribbean Sea. The collection is being led by Managing Director Hendrick Santos, a highly respected industry veteran whose experience includes 19 years with Hyatt Hotels Corporation, where he served as general manager for many luxury properties including the Hyatt Dorado Beach, Puerto Rico; Hyatt Regency Aruba; and Hyatt Grand Champions Resort in Indian Wells, CA. Salamander was founded by Johnson, who also has ownership in three professional sports teams: the WNBA’s Washington Mystics, the NBA’s Washington Wizards and the NHL’s Washington Capitals. In addition to the Grand Resorts at Cap Cana, the company’s portfolio currently includes the recently renovated Innisbrook Resort near Tampa, FL., host to the PGA TOUR Transitions Championship; the Forbes Five Star- and AAA Five Diamond-rated Woodlands Inn near Charleston, SC; and the under-construction Salamander Resort & Spa, a 340-acre equestrian-themed resort located near Washington, D.C. Salamander’s management team, led by Prem Devadas, features numerous executives with Forbes Five Star and AAA Five Diamond experience from luxury, independent properties like Kiawah Island Golf Resort, SC; and major luxury hotel brands like The Ritz-Carlton Hotel Company, Four Seasons Hotels and Mandarin Oriental Hotel Group. As well as Punta Espada Golf Club, which is the highest-rated course in the Caribbean and Mexico and features more oceanfront holes than any other layout in the Western hemisphere, the area’s numerous other courses – designed by such luminaries as P.B. Dye and Tom Fazio – create an unrivalled golf vacation destination. Sanctuary Cap Cana provides a number of memorable dining options, all of which will open to the public, including the architecturally stunning Blue Marlin restaurant. Perched above the Caribbean Sea on stilts, it offers the area’s finest seafood and most romantic location. Other restaurant themes include pan-Asian, Italian and a signature steakhouse, while continuous poolside and 24-hour room service are available. The resort’s luxurious and spacious accommodations range from 650 to 5,500 square feet and feature beautiful local stone bathrooms, with separate tubs and water closets, satellite television service and walk-in closets. 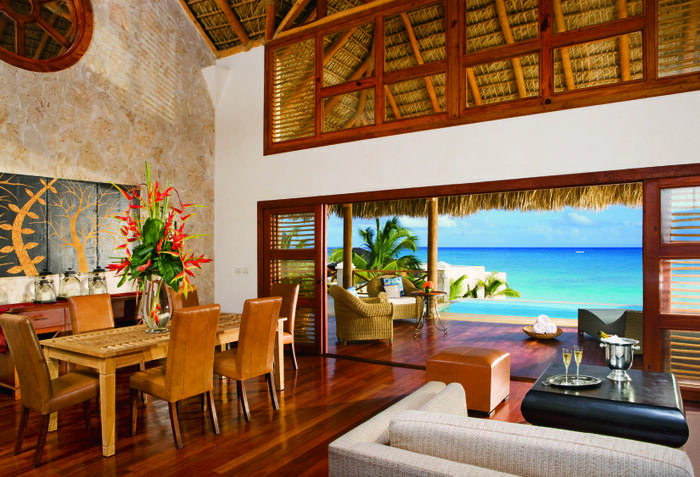 Many include expansive ocean views, secluded beach access or even their own private islands. The resort also features an array of unique meeting and conference facilities, including a 4,800-square-foot ballroom, several stunning outdoor function spaces that overlook the ocean. Already a popular location for weddings, the addition of the picturesque Dominican-style chapel at the Fishing Lodge will make Cap Cana the most sought-after wedding destination in the Caribbean. Special introductory guest rates of $249-599 per night at the Sanctuary are available from October 1-December 31, 2011, ranging across most styles and sizes of accommodations. Usual rates range from $375-725 per night. Introductory rates at Fishing Lodge Cap Cana begin at $99 per night. 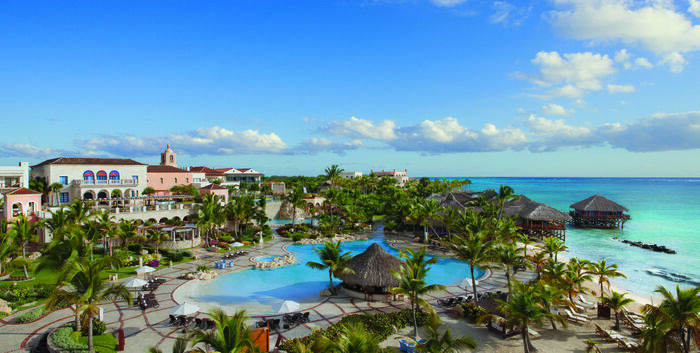 For more information, visit www.GrandResortsAtCapCana.com or e-mail sanctuary@salamanderhotels.com. To call, use 1-866-855-4886 (within the US), 1-888-751-8544 (within the Dominican) or 1-809-544-4343 (other international countries). For the US-based group sales office, call 1-540-687-3710. Corporacion Hotelera Internacional (CHI) is led by Juan Pelayo and Paco Martinez, both of whom are successful businessmen in Europe with operations that have been lauded by the Spanish government for their state-of-the-art approach to business. Headquartered in Spain, CHI owns, plans and develops luxurious hotel properties on or near some of the most beautiful bodies of water in the world. Its portfolio and those of its sister companies include magnificent resorts in Cap Cana, Dominican Republic, including Sanctuary Cap Cana, Fishing Lodge Cap Cana and the soon-to-open, boutique-style Ocean Club hotel. Salamander Hotels & Resorts is a privately owned and operated company based in Middleburg, VA, just outside Washington, D.C. Founded by entrepreneur Sheila C. Johnson in 2005, the company manages and develops hotels, resorts and inns that reflect the authenticity and character of their surrounding environment. The portfolio currently includes the recently renovated Innisbrook resort near Tampa, FL., host to the PGA TOUR Transitions Championship every March and the LPGA Legends Tour Open Championship in November; Woodlands Inn near Charleston, SC, which is one of only six properties in North America to hold Forbes Five-Star and AAA Five Diamond ratings for both accommodations and dining; Grand Resorts at Cap Cana, a collection of three luxurious properties on the East Coast of the Dominican Republic: the 176 suite oceanfront Sanctuary Cap Cana, the 299-villa, marina-oriented Fishing Lodge Cap Cana opening October 12, 2011, and the 92-room Ocean Club Cap Cana opening in 2012; and the under-construction Salamander Resort & Spa in Middleburg, a 340-acre equestrian-themed resort located near Washington, D.C. For additional information, call (540) 687-3710 or visit www.salamanderhotels.com.